Yeshiva World News just post some amazing photos of the Skwere Rebbe shilta of Boro Park taken erev Yom Kippur available here. Also, SG Video’s posted some video of the Rebbe shilta at Tashlich. This entry was posted in Skwere on September 21, 2010 by Neil Harris. 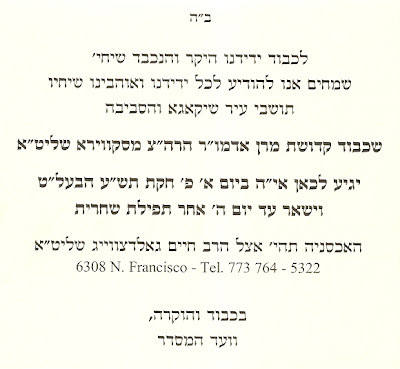 I am pleased announce that the Skwere Rebbe of Boro Park, Grand Rebbe Yechiel Michel Twersky shlita, is currently visiting the Chicago community until Thursday morning, June 17th, at the home of Rabbi Chaim Goldzweig, 6308 N Francisco Avenue. Phone number: (773) 764-5322. Since it as Shabbos Rosh Chodesh last Shabbos, I got a wonderful package sent to me from the Rebbe shlita. It was a beautiful and extremity tasty Challah and an onion kugel and a luchson kugel. It was a great surprise to me an my family and a real chessed. I felt truly honored that the Rebbe shlita remembered me. 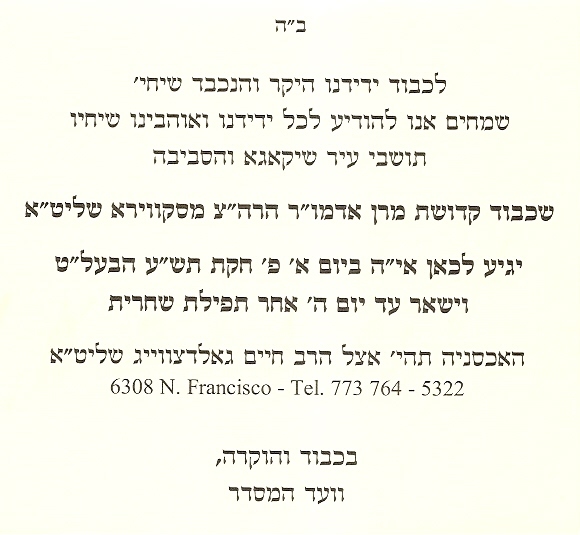 To read about the last time the Rebbe shlita, came to Chicago, click here. This entry was posted in Chicago, Skwere on June 15, 2010 by Neil Harris. 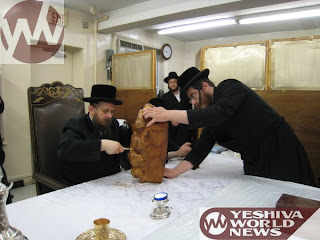 For more picutres please go to Yeshiva World News. This entry was posted in Skwere on March 5, 2010 by Neil Harris. 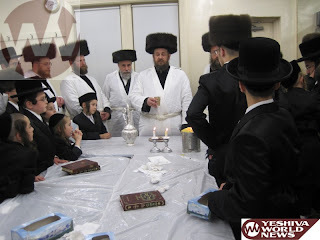 the Skwere Rebbe Shelita of Boro Park. This entry was posted in Skwere on April 14, 2009 by Neil Harris. 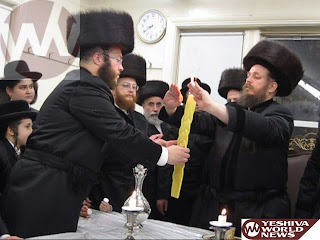 Yeshiva World News just posted two sets of pictures from the Skwere Rebbe of Boro Park, Grand Rebbe Yechiel Michel Twersky’s visit to Chicago. You can see them here. 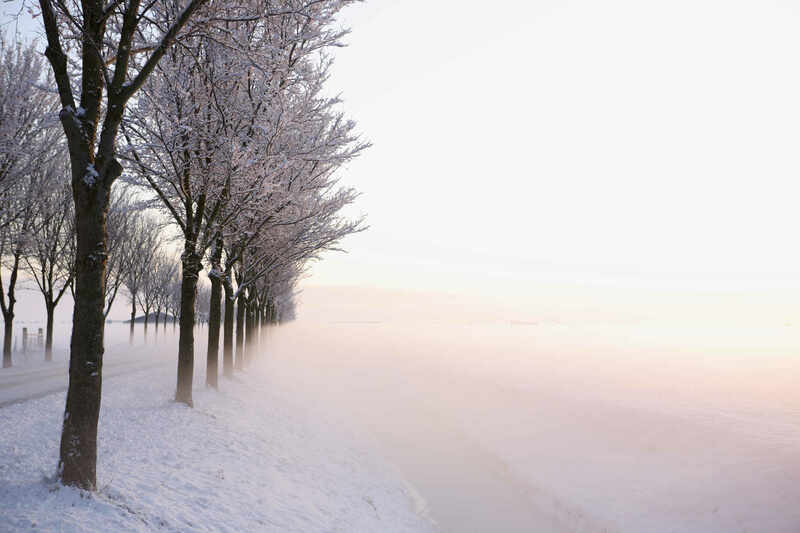 This entry was posted in Chicago, Gedolim, Skwere on December 23, 2008 by Neil Harris.